After months of speculation, sneak peeks and a leak, Urban Decay has finally revealed their upcoming eye shadow palette – The Naked Reloaded. When Urban Decay announced that they would be discontinuing their coveted Naked Palette, millions of hearts broke around the world. The OG palette was a best seller for years, but alas, all good things have an end. 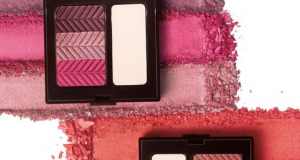 Likewise, Urban Decay stood solid on their promise of bringing back the palette – in a different way. And that led to the creation of the Naked Reloaded. If you were an active member of the Internet, you might remember when Trendmood put up a post showcasing the palette. Instagram was divided. Even spiller of tea, Jeffree Star wasn’t too impressed with what he saw. Some people even compared the Naked Reloaded to the Anastasia Beverly Hills “Sultry” palette. However, there was a part of the beauty community that fell in love with it. Urban Decay finally revealed the palette, along with the campaign video. “Unmute your neutral” is the tagline, and I suppose it’s kind of catchy. The Naked Reloaded includes 12 new neutral eyeshadows. Four outer pans in the palette bigger for the shades you’ll use the most. From silky mattes and metallics to iridescent micro-shimmers. I actually agree with people who are of the opinion that it looks like the Sultry palette. Although, as much as I love good neutrals, I don’t think the palette is impressive. The Naked Reloaded launches in the US, Canada, Europe, Asia, Australia and Mexico starting February 18th, 2019. What’s your view on the palette? Would you be picking it up? Next articleSpring 2019 From Benefit Has A Bunch Of Newness! Laura Mercier Has Lip Powders Now?